Boquete is known for adventure, nature, spas, trails, and breweries. 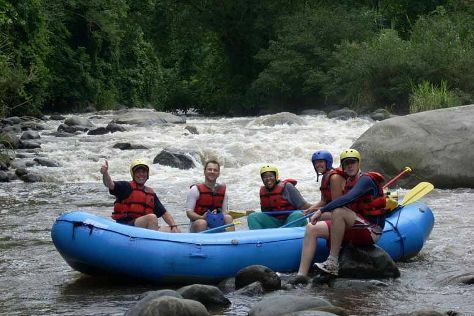 Your plan includes some of its best attractions: soothe aching muscles at some of the top local wellness centers, look for all kinds of wild species at Jungla de Panama Wildlife Refuge, get a new perspective on things with Chiriqui River Rafting, and admire the sheer force of The Lost Waterfalls-Boquete. To find ratings, reviews, and more tourist information, use the Boquete travel itinerary planner. If you are flying in from United Kingdom, the closest major airports are Enrique Malek International Airport, Bocas Del Toro International Airport and Cap Manuel Niño International Airport. Finish your sightseeing early on the 3rd (Thu) to allow enough time to travel back home.